I obtained my MBBS from Universiti Malaya in 1993. I worked as a doctor with the Malaysian Ministry of Health for 7 years, and obtained my Masters in Medicine (Family Medicine) in 2000 from Universiti Kebangsaan Malaysia. 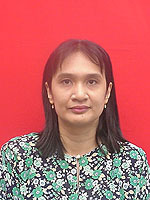 I joined Universiti Putra Malaysia in 2001 as a lecturer in the Department of Community Health. I obtained my PhD (Community Health) from the University of Auckland, New Zealand in 2010, and then joined the Department of Psychiatry to focus on my research specialty. I am a Family Physician and Lecturer at the Faculty of Medicine & Health Sciences, Universiti Putra Malaysia (UPM). I am currently supervising 5 postgraduate students as Chair, and have 3 on-going research projects as Principal Investigator. Other than that, I am currently teaching in several undergraduate and postgraduate courses at the Faculty of Medicine & Health Sciences, UPM. I conduct my clinics once a week at a government primary care clinic. My research specialty is in Community Mental Health. I am currently in the Department of Psychiatry as my current research and teaching activities focus on Community Mental Health and Behavioural Interventions.